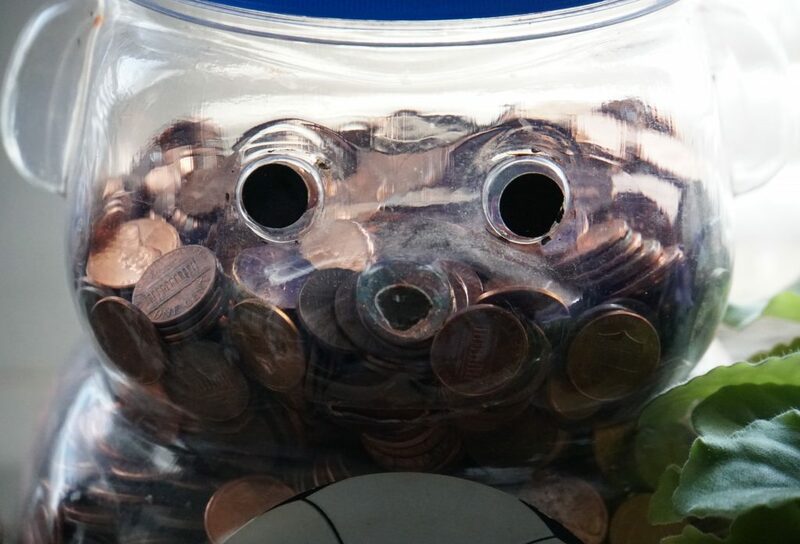 Whether you’ve just stumbled upon a lucky penny in the street, a quarter between your cushions, or a childhood piggy bank, don’t spare your change. Dimes may be a dozen, but a few dozen dimes definitely does double dependably and unexpectedly. 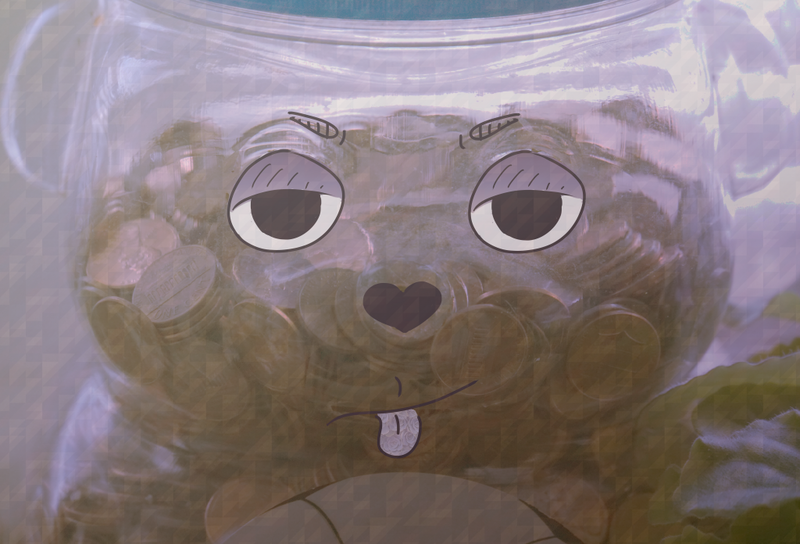 Spare change is… Well, in complete an utter honesty, it’s annoying. There aren’t many efficient ways to carry coins around, they’re slippery, small, and find themselves in the cracks or crevices of just about everything. Money is money, but quarters, dimes, nickels, and pennies are just inconvenient. In the off chance that I happen to pay with cash, I’ll keep the leftover paper currency from the transaction and donate the spare change. As much as I would like to say it’s purely a humanitarian act, there is a small part of me that enjoys donating the change to relieve the burden of lugging coins around in my wallet. Funnily enough, I even use a change purse in lieu of a traditional style wallet (it makes it a bit easier to carry business cards on my person), yet I still avoid coins like they’re the plague. However, penny pinching is no joke. I can hardly stress just how much collecting the loose change around your house in a jar adds up. You’d be surprised how much collectors are willing to pay for currency, such as dollar bills with special serial numbers, America the Beautiful Quarters, as well as the Wheat Penny. Dustin Johnson, the director of Heritage Auctions in Dallas, TX told the Boston Globe that collectors known as serial hunters may pay $10,000-$15,000 for a $100 bill with the serial number 00000001. You may also be in for some bookoo bucks if you are lucky enough to have inherited a penny collection. According to The Spruce Crafts, the 1943-D Bronze Lincoln Wheat Penny is worth $2,100,000.000. Not to worry, lucky pennies and freshly minted bills aren’t the only ways to cash in on your coins. Collecting spare change from around the house or your car in a jar adds up fast and often amounts to far more than you’d expect. The first week of summer after my freshman year of college, my partner and I were invited to stay at a friend’s place about an hour away. There was just one problem – we were broke and had about a quarter tank of gas. Back then, he was working part time and I had just started off as a commissions based saleswoman with a mere handful of leads and a product hard to pedal at its price point. If memory serves, I don’t believe I had more than a dollar fifty in my bank account, as I vividly remember falling a few cents short for a cup of coffee earlier that week. With no time to spare and a whole lot of loose change, we gathered all the quarters, dimes, nickels, and pennies we could find: from the depths of our pockets, the crevices of the car seats, and under our bed to the change jar on our drawer, we stuffed an entire ziplock bag and visited the nearest Coinstar. “How much [money] do you think we have in here?” XtaSeay asked. “Maybe a soft $20, $25 at most.” I chirped my estimate after analyzing the bag. In total? We had cashed in over $50. We were over the moon. 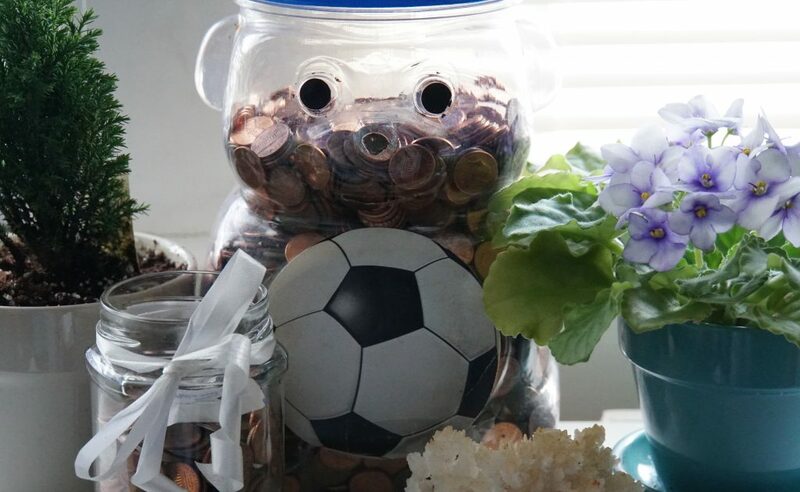 While a starting a cash jar or breaking open an old piggy bank may not lead to a fortune – unlike inheriting a wheat penny – it still pays off. Don’t spare your change. It may just spare you when you need it most. 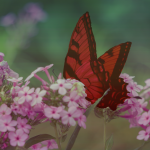 This entry was posted in Blog, Advice, Blog, Finance, 2019, Winter 2019, January 2019 and tagged in advice, blog, blogs, broke, burgundy bug, cent, cents, change, cool, don't spare your change, finance, make money, making money, money, money jar, penny bear, penny bears, save, save your change, saving, saving money, savings, spare change, stories, story, the importance of saving your change, tips, true story.